AFRICAN AMERICAN REPORTS: Francine Robertson is missing! MARSHALL, TX: The Marshall Police Department is asking for the public's help in finding a woman missing since Tuesday. 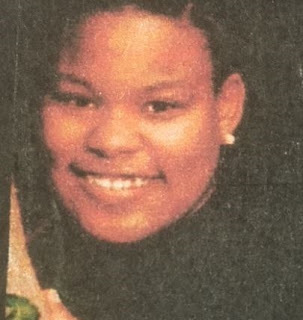 Francine Robertson, 29, was last seen walking in the 2300 block of West Rusk Street, according to a news release from MPD. She stands about 5'7" tall and weighs around 270 pounds. She was last seen wearing a gray T-shirt with black sleeves, blue jeans and no shoes. Police say that Robertson may suffer from a mental illness. Her family members are concerned about her welfare. Anyone who has seen Robertson or knows where she can be found is urged to call MPD at (903) 935-4575.